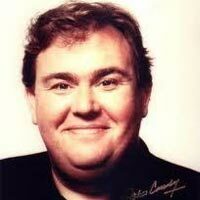 The extraordinary John Candy was a Canadian comedic actor who rose to fame before dying of a heart attack in his sleep on a film location in Mexico. If you feel you are battling with weight issues and self esteem problems, then this show is for you. John Candy’s success did not help alleviate his collapsing view of himself – crazy isn’t it? That someone so loved, such a good guy and so successful, was not able to find more to love about himself. If John Candy had known his SolePath would he have been happier and still be alive today?